- This app is free but offers in-game purchases. - Compatibility is not guaranteed for devices without GPS capability or only for devices connected to Wi-Fi networks. So the application may not work properly. - Compatibility issues with tablet devices may occur. It's just called optimized for phones. - Even if compatible operating system versions are installed, the application may not work on some devices. Unfortunately, not every device works. - It is recommended to play when connected to a network to get accurate location information. They suggest you use it with an internet connection. - Compliance information can be changed at any time. It is possible that a device that is working today may not work tomorrow. 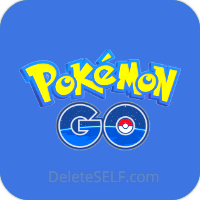 - For additional compatibility information, please visit www.PokemonGO.com If you have problems, write to the site. Please note this is important! After clearing your account, your transactions can not be recovered! To delete your account, you need to write a message to the developers.